Wisconsin Security Research Consortium (WSRC) enhances Wisconsin’s’position to attract and retain research and development grants from federal government agencies for the purpose of conducting sensitive academic and business research and related development work. This research will contribute to the health, safety and security of citizens of the United States, regardless of where they live. The Wisconsin Information Security Center will accelerate the growth of a high-tech/knowledge-based workforce with capabilities to provide solutions to problems of national security importance. 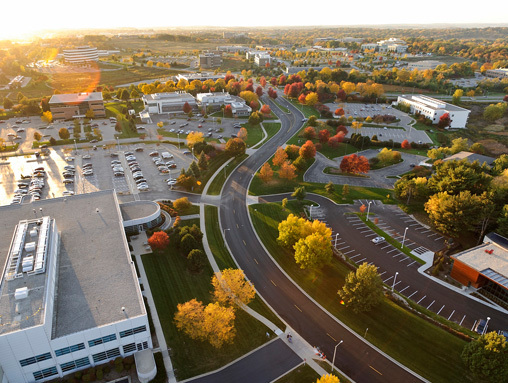 University Research Park, a University of Wisconsin-Madison affiliate, is an internationally recognized research and technology park that supports early-stage, and growth-oriented businesses in a range of sectors. Tech experts list cyber security, Internet of Things among top 2015 trends Topping the minds of the region's technology leaders this year is the talk of cyber security and the need for businesses to arm themselves against an ever-growing arsenal of threats.